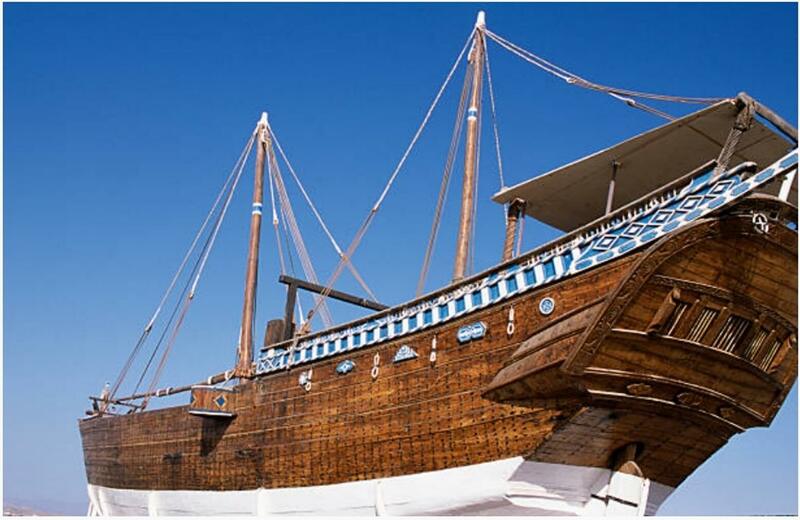 Marhaba-Quatar... Dhow is the generic name for a number of traditional sailing vessels with one or more masts with lateen sails used in the Red Sea and Indian Ocean region. 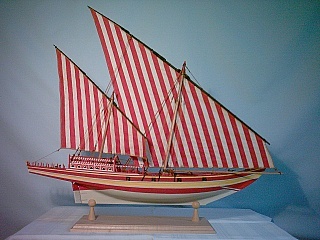 Some historians claim the dhow was invented by Arabs or Indians. 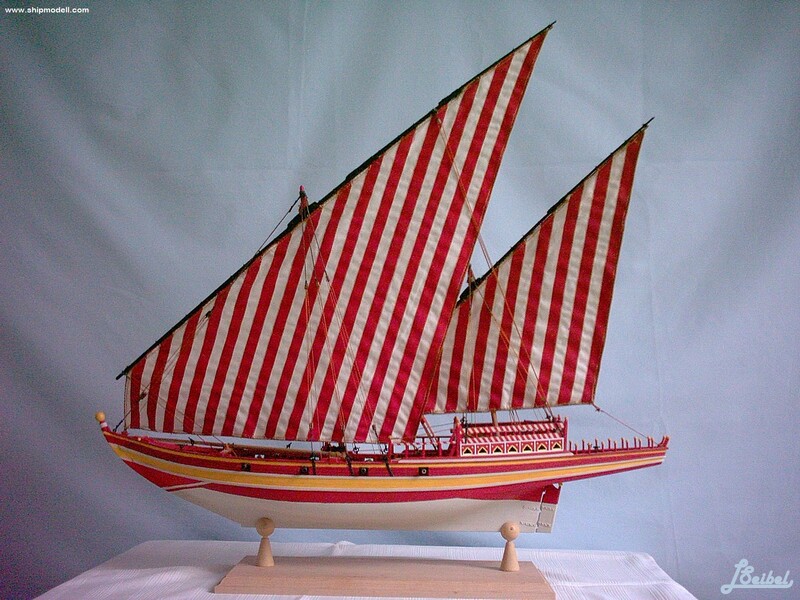 Typically sporting long thin hulls, dhows were trading vessels primarily used to carry heavy items, like fruit, fresh water or merchandise, along the coasts of the Arab countries, Pakistan, India, Bangladesh and East Africa. 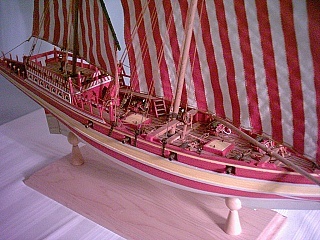 Larger dhows have crews of approximately 30, smaller ones typically around 12. The exact origins of the dhow are lost to history. 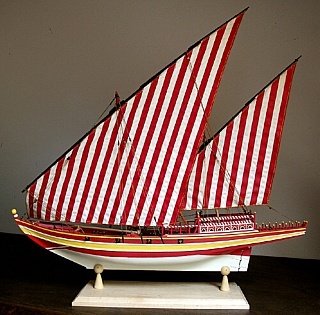 Most scholars believe that it originated in China between 600 BCE to 600 CE. 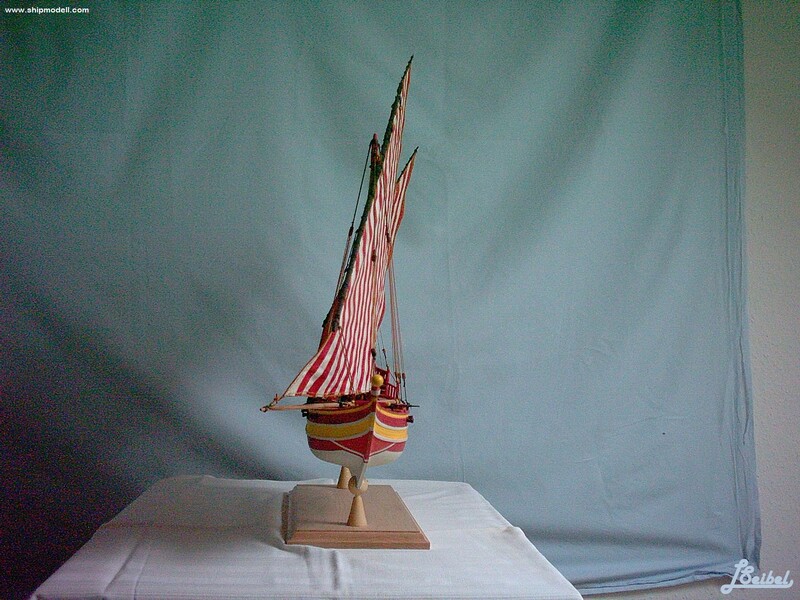 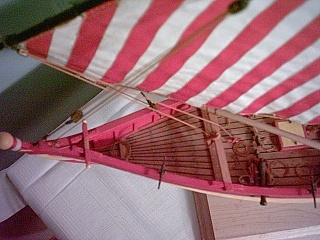 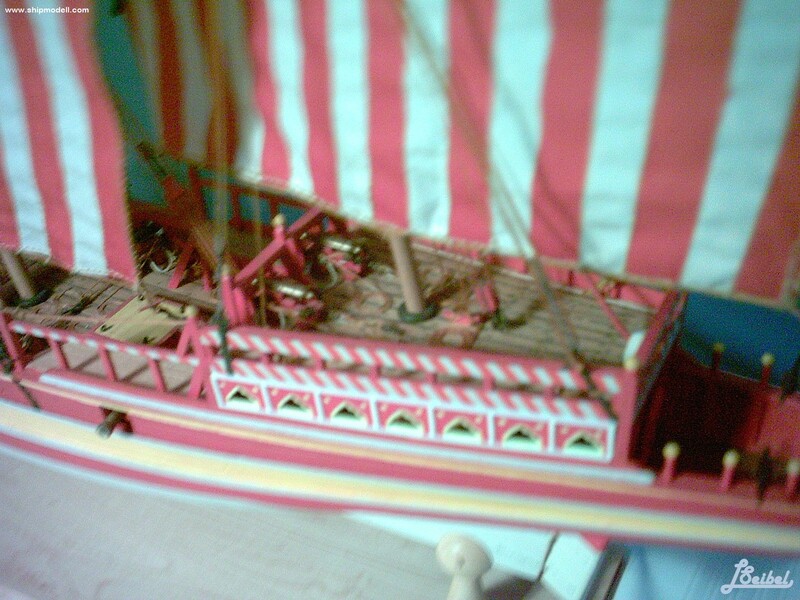 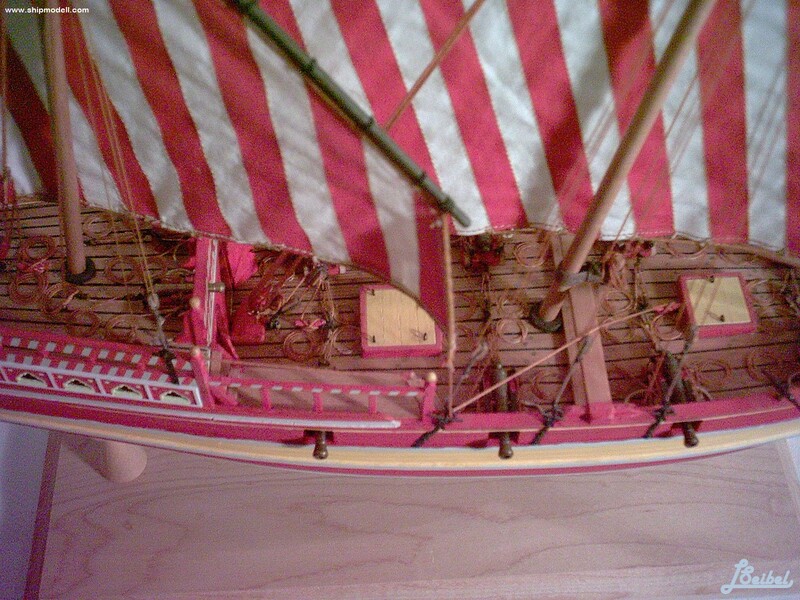 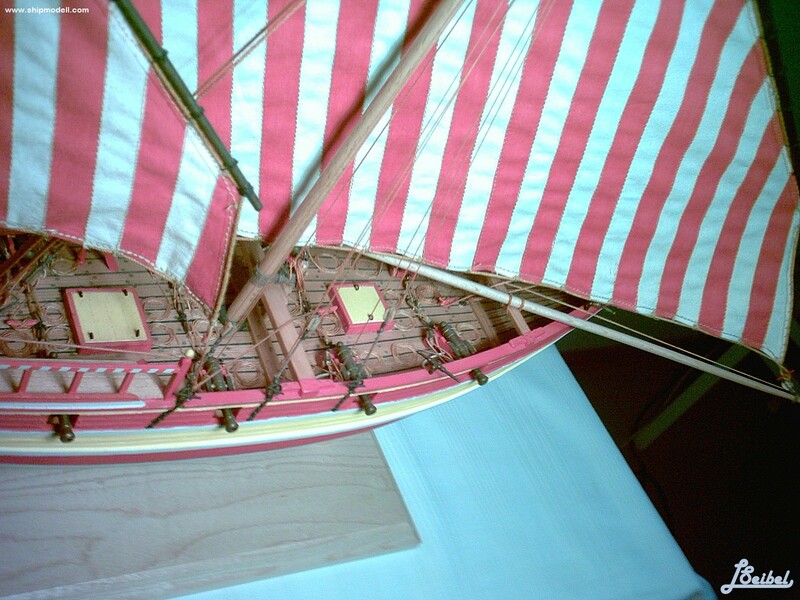 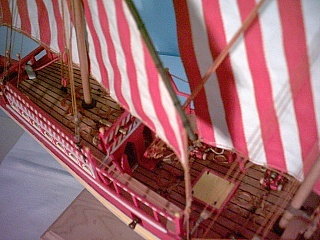 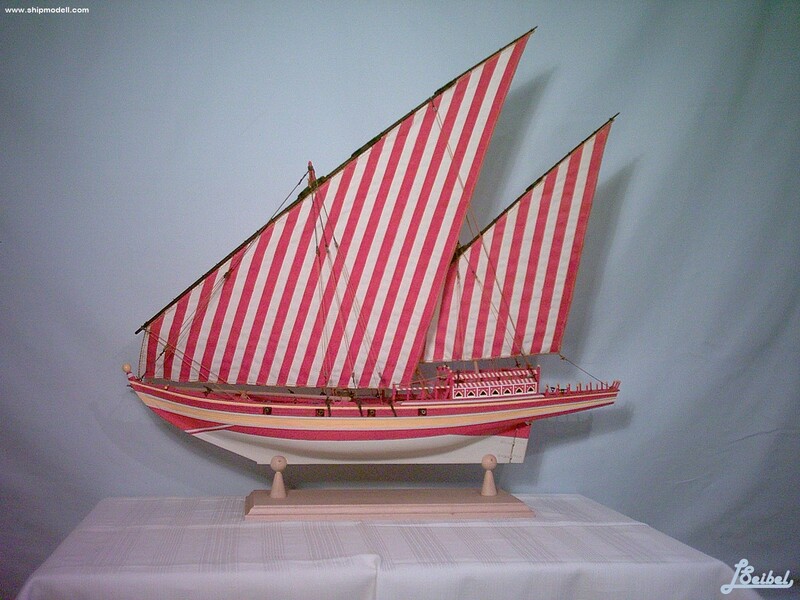 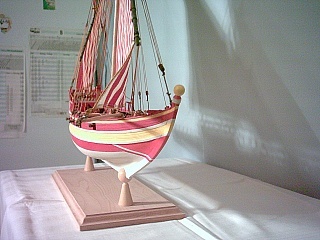 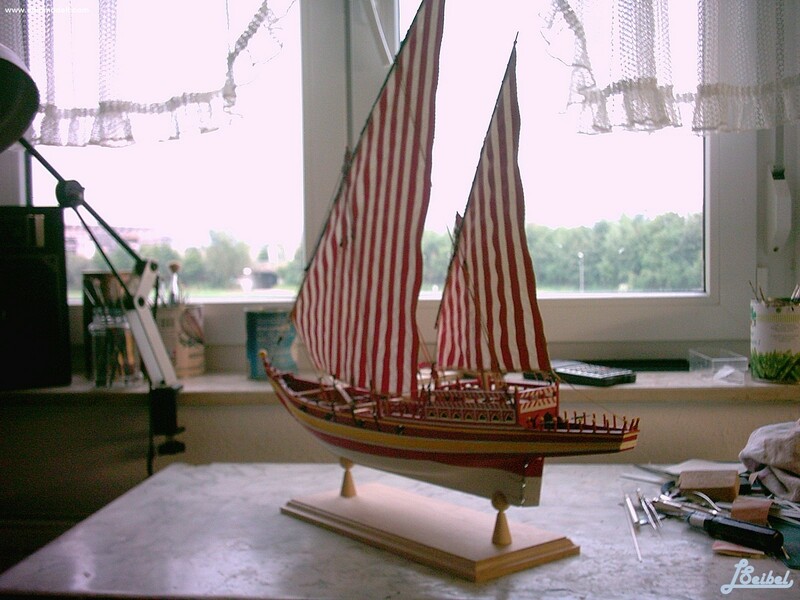 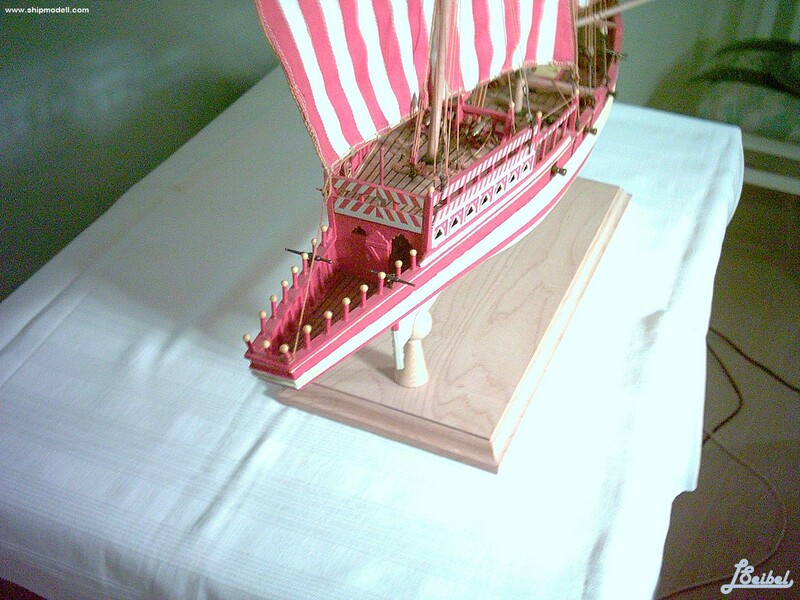 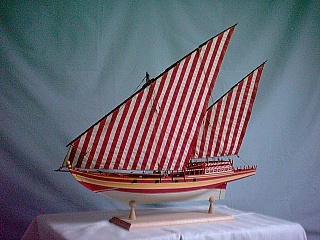 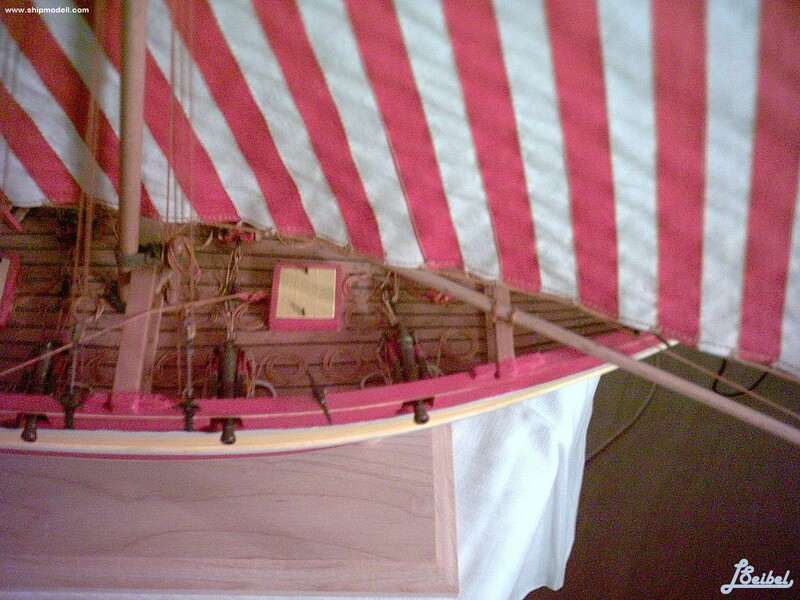 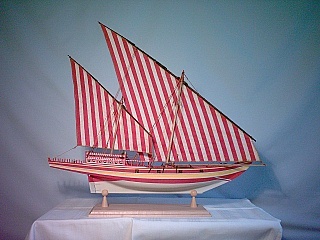 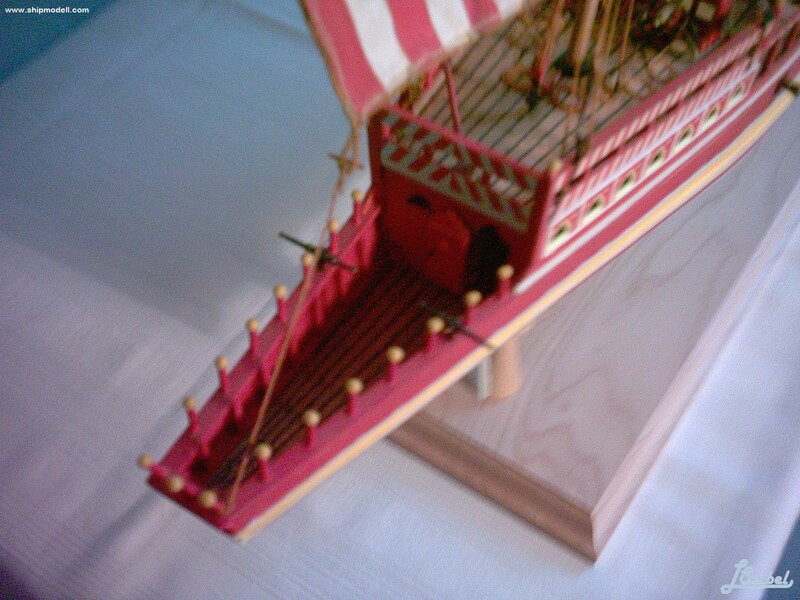 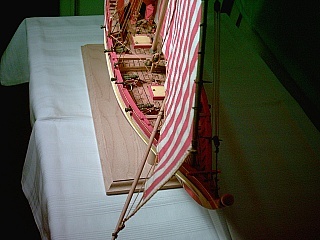 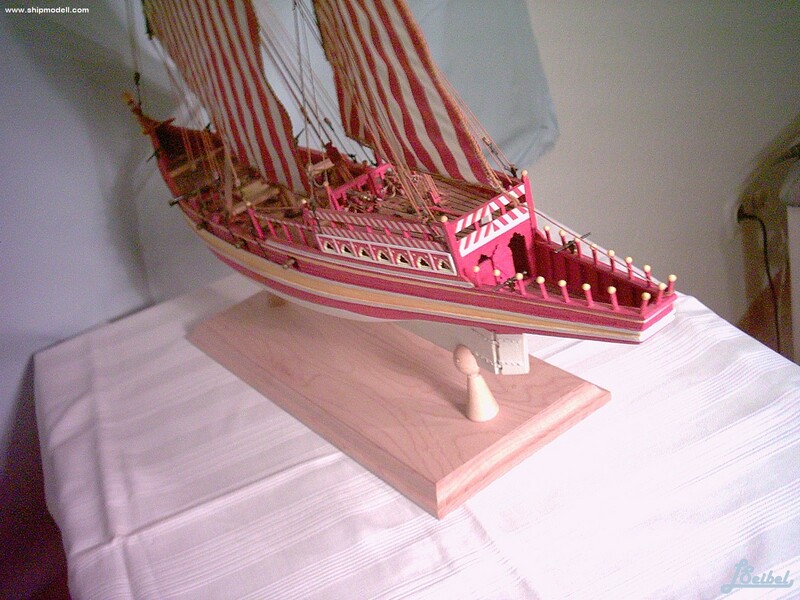 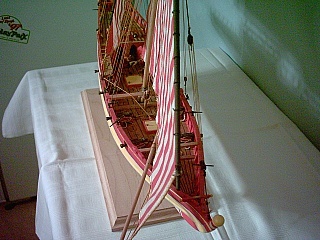 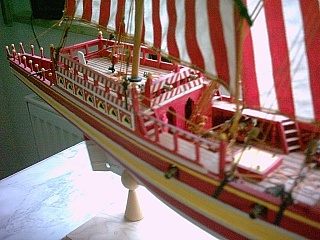 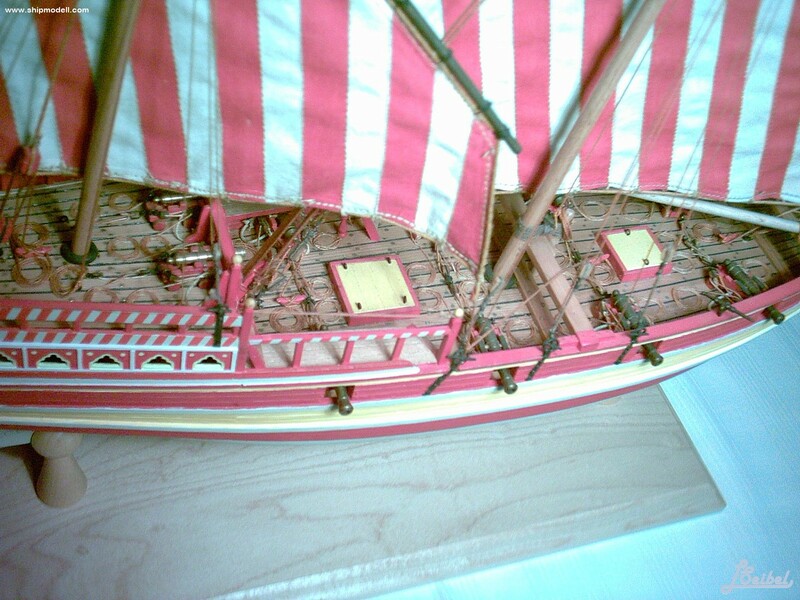 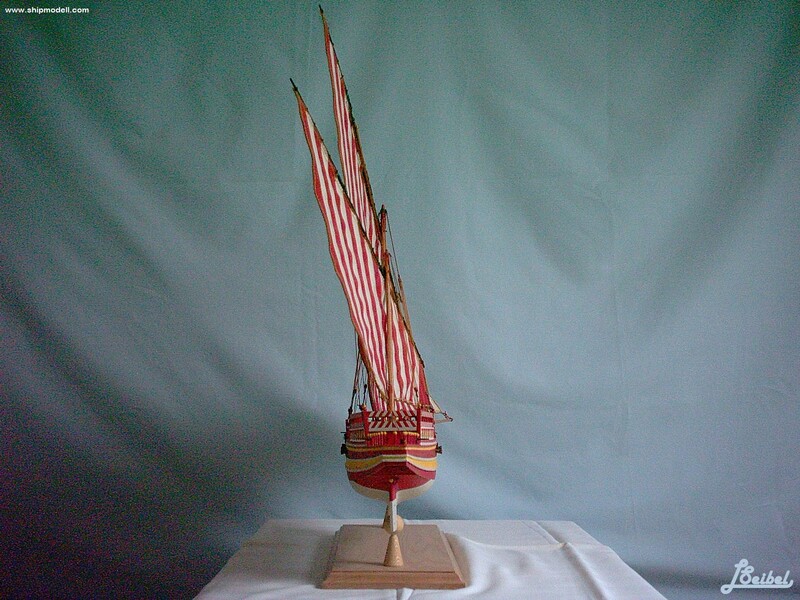 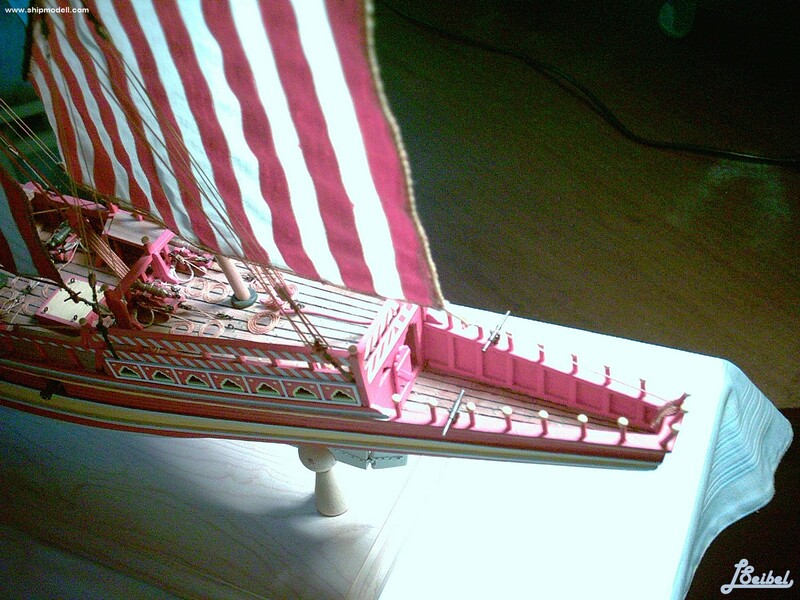 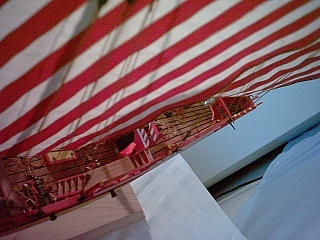 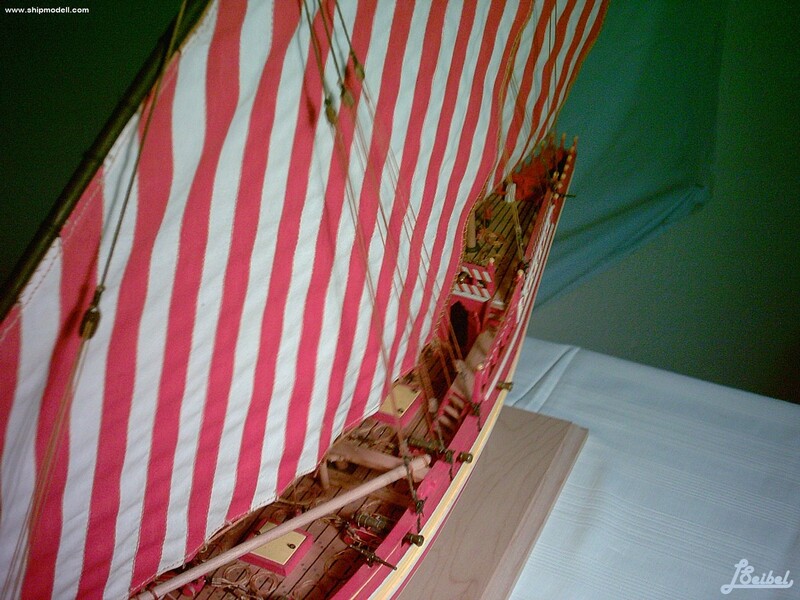 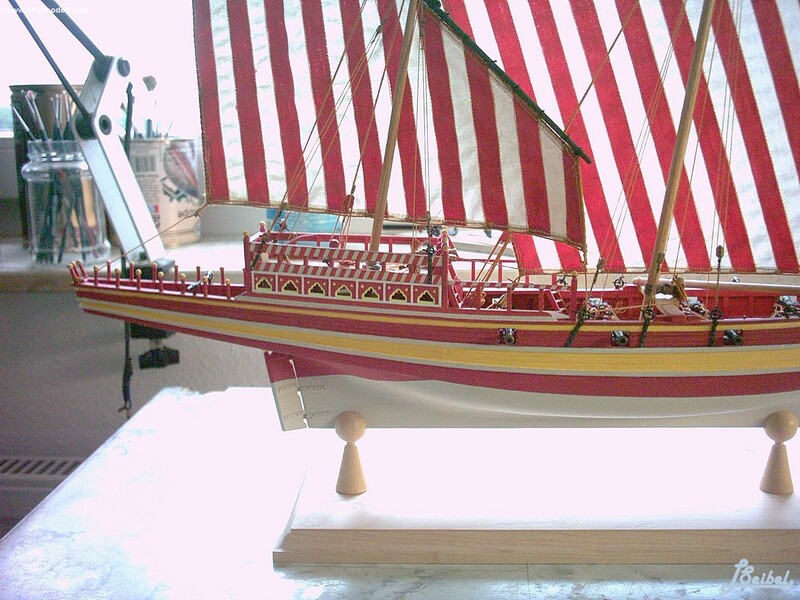 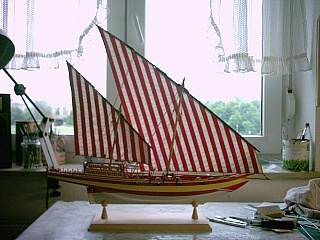 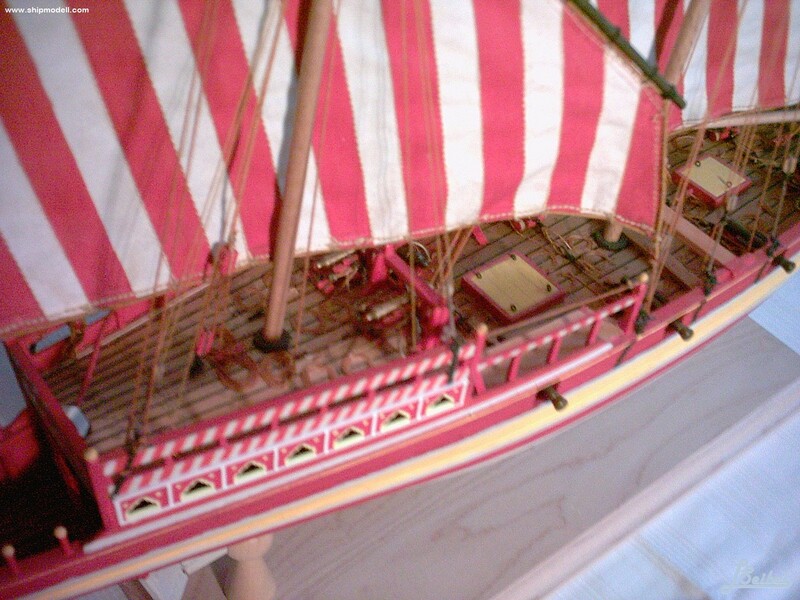 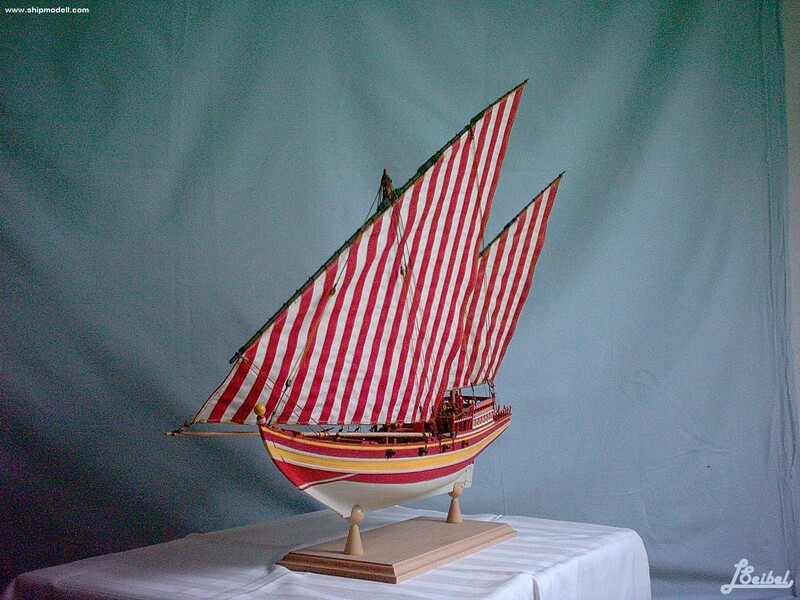 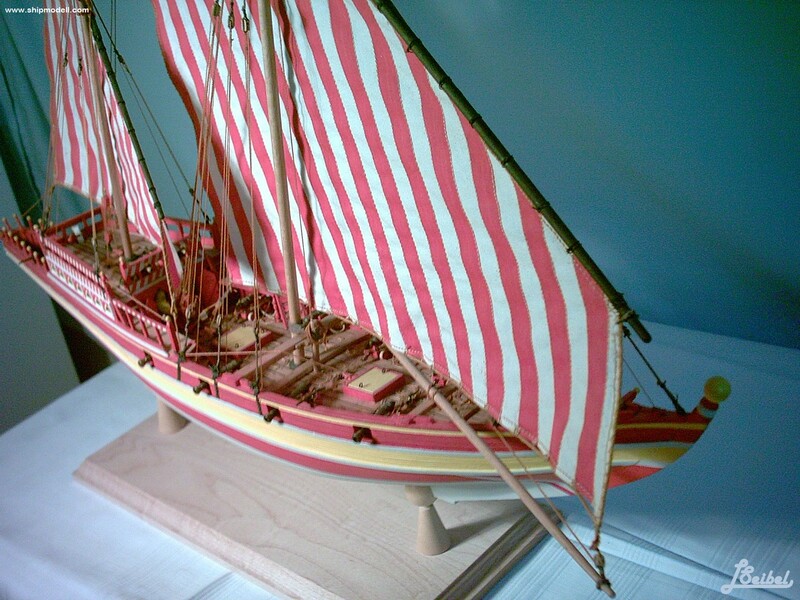 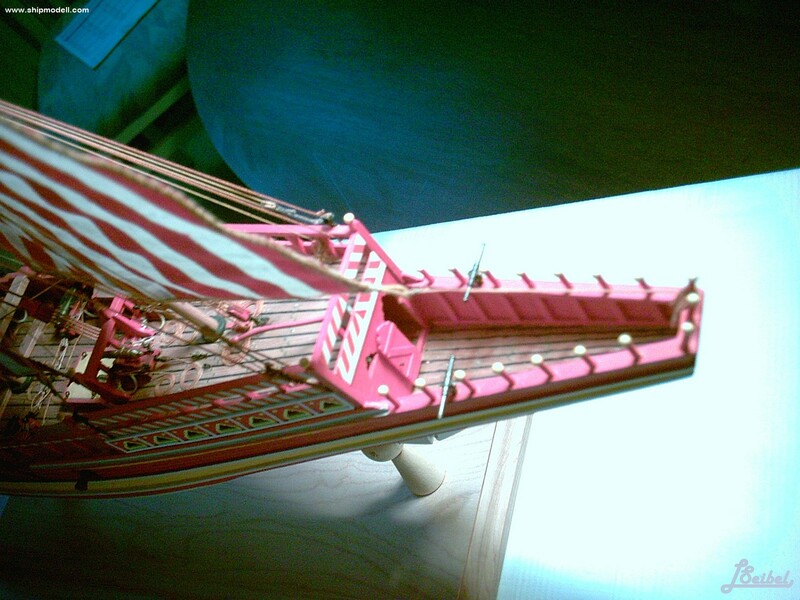 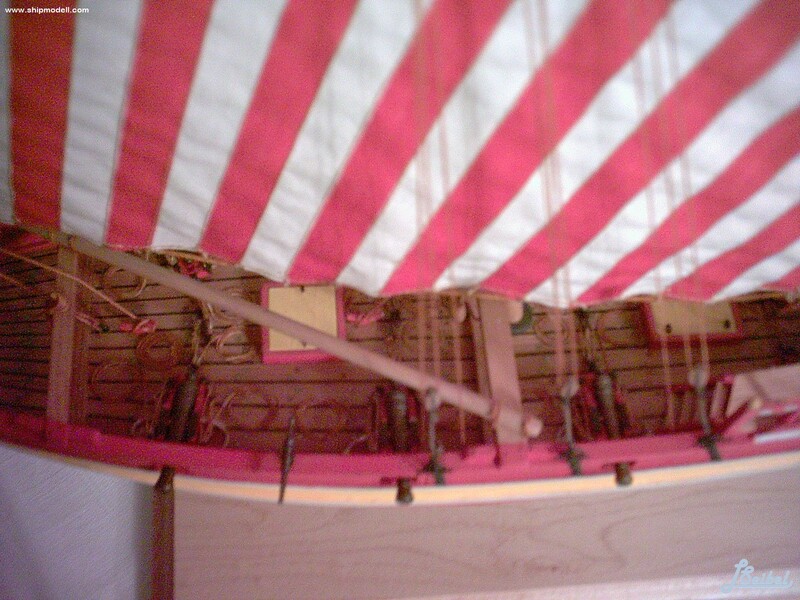 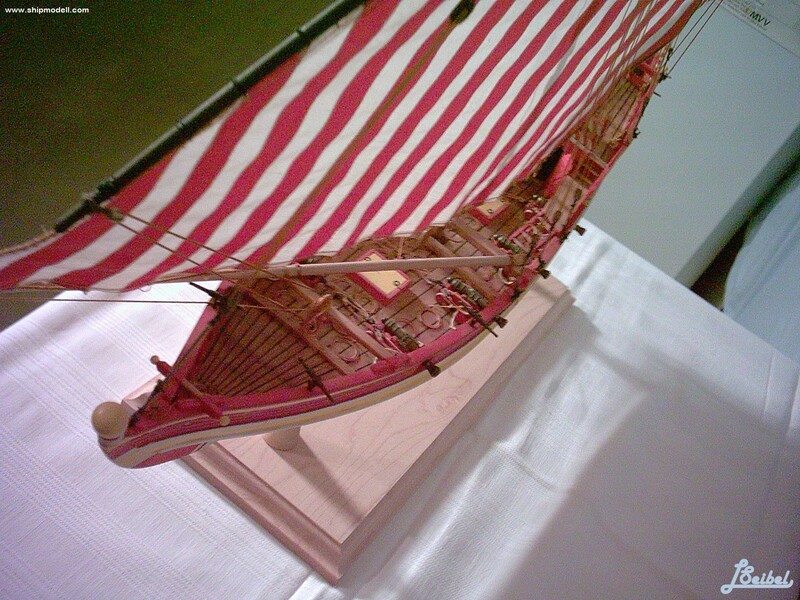 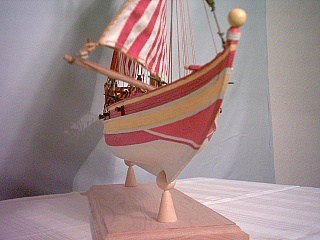 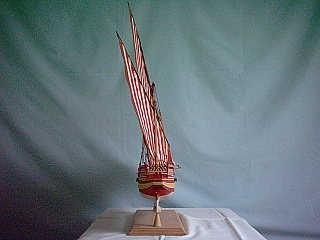 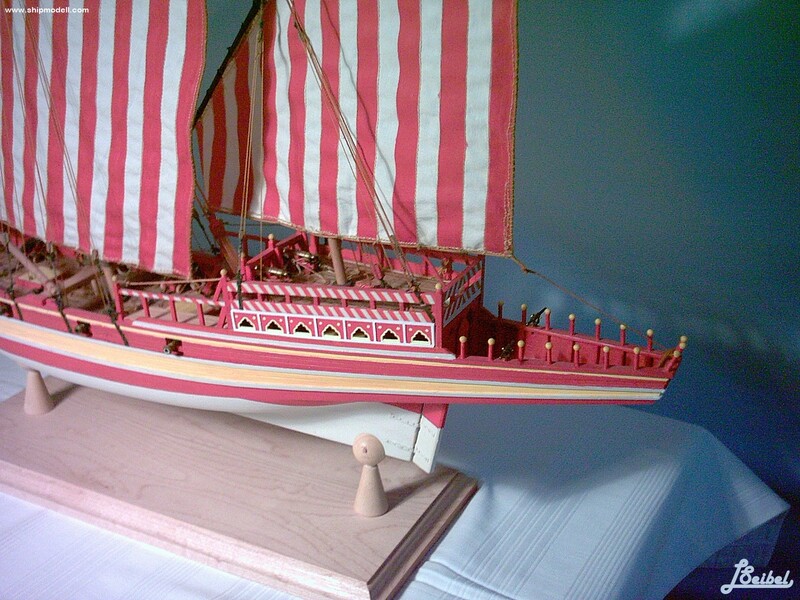 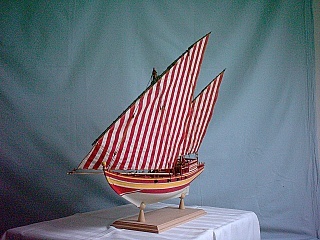 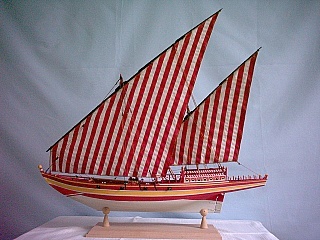 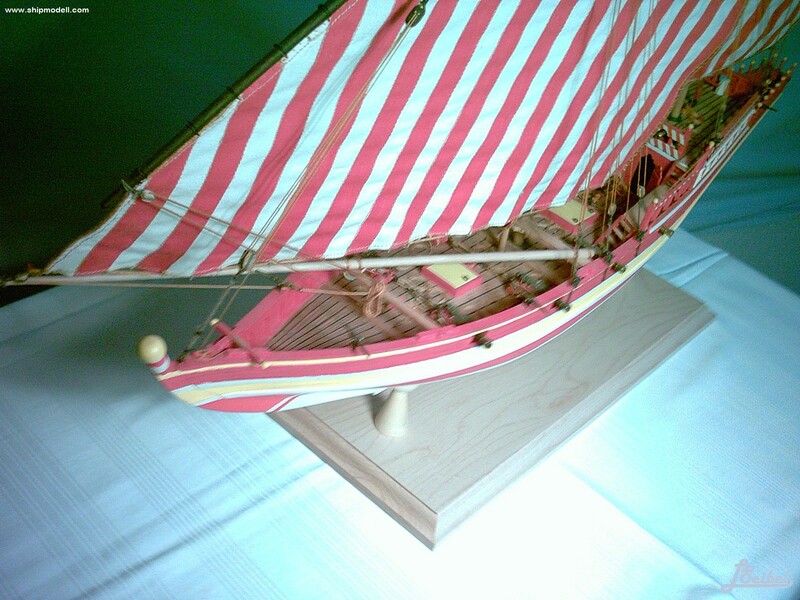 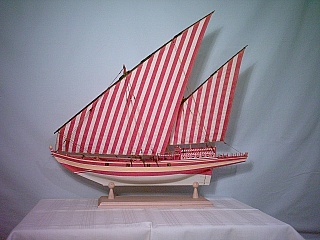 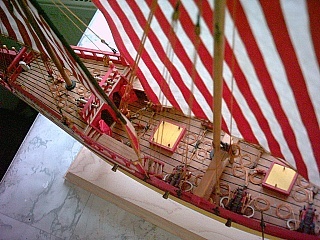 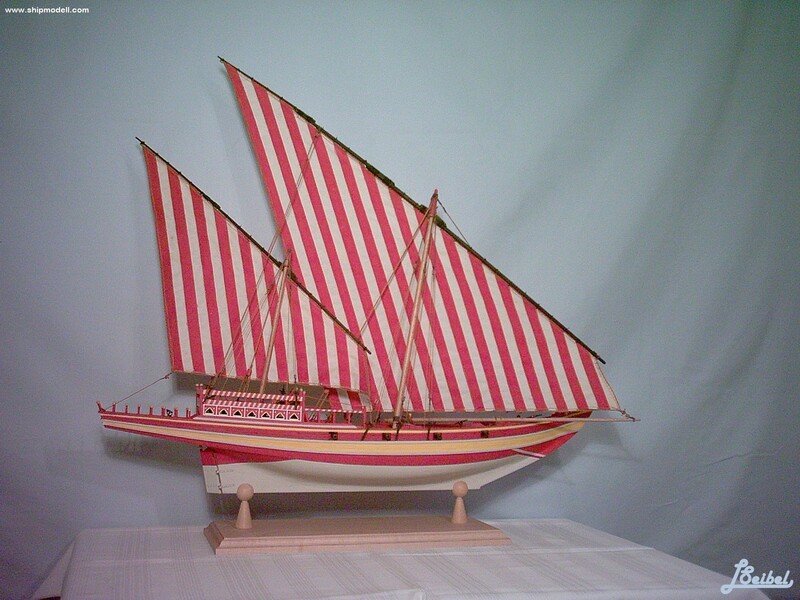 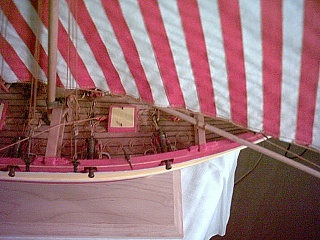 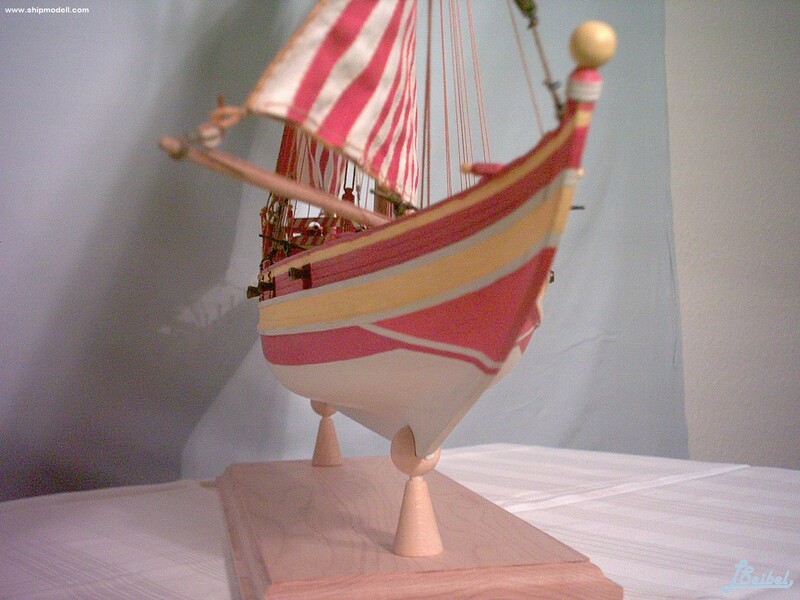 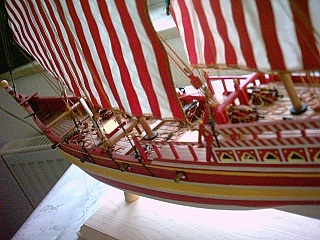 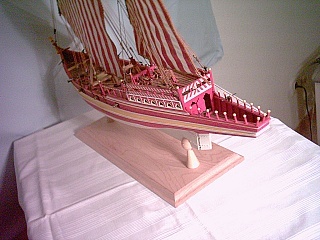 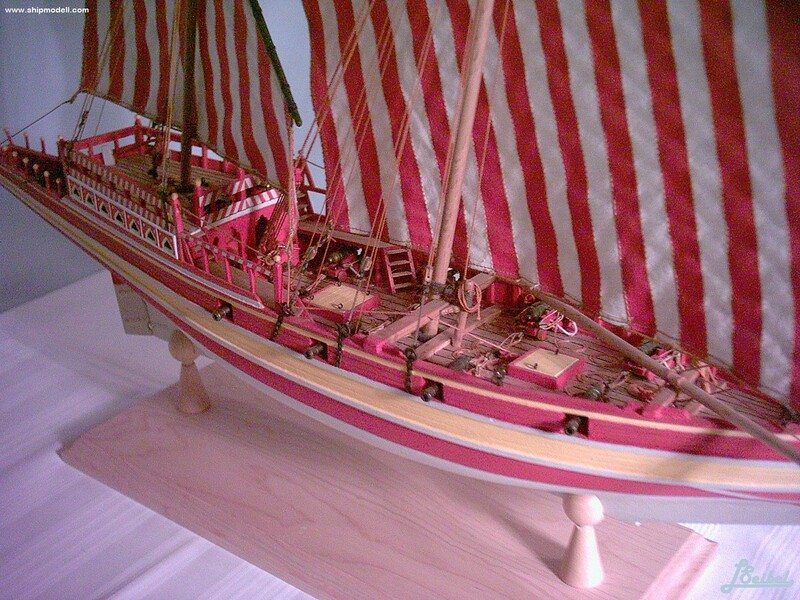 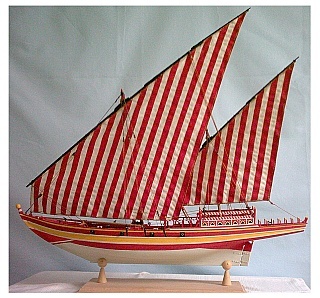 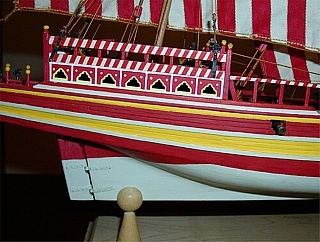 Some claim that the sambuk, a type of dhow, may be derived from the Portuguese caravel. 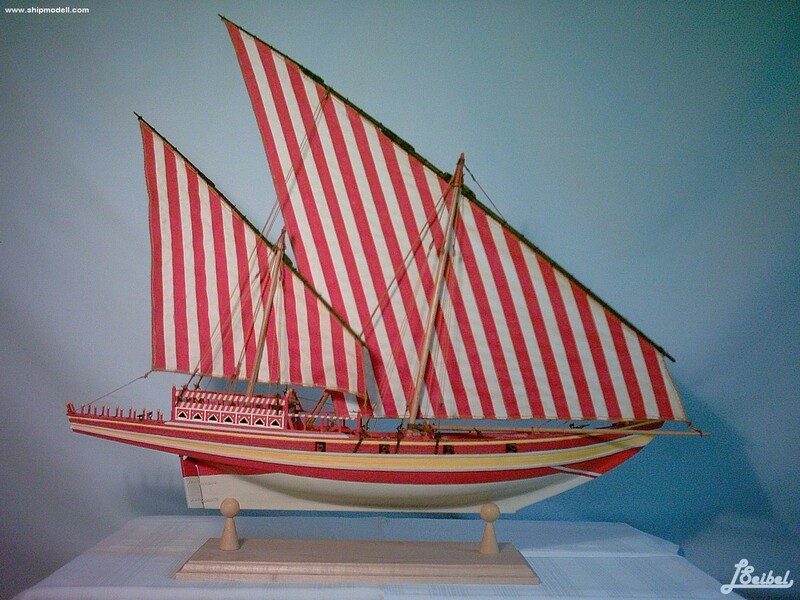 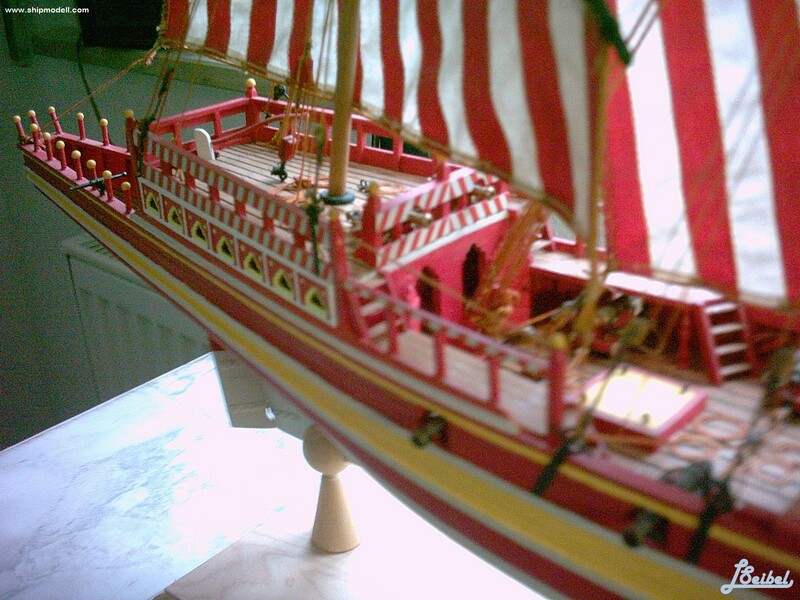 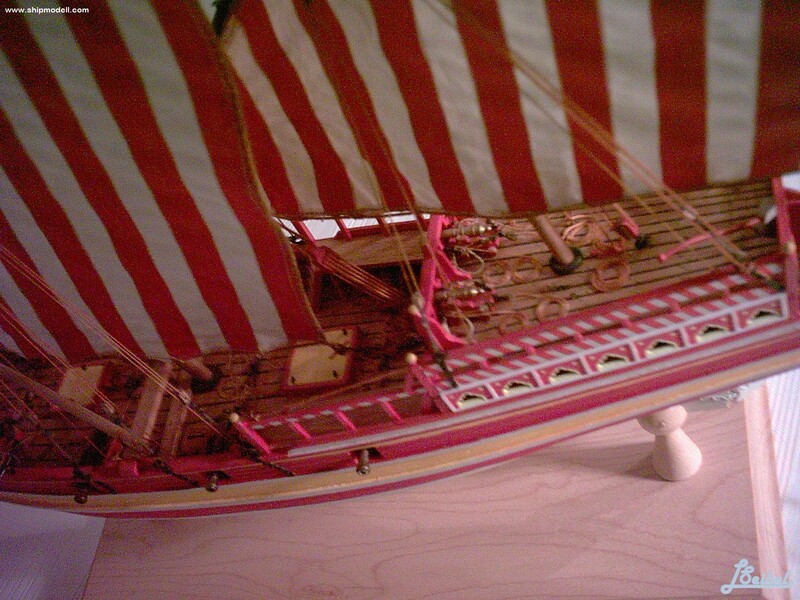 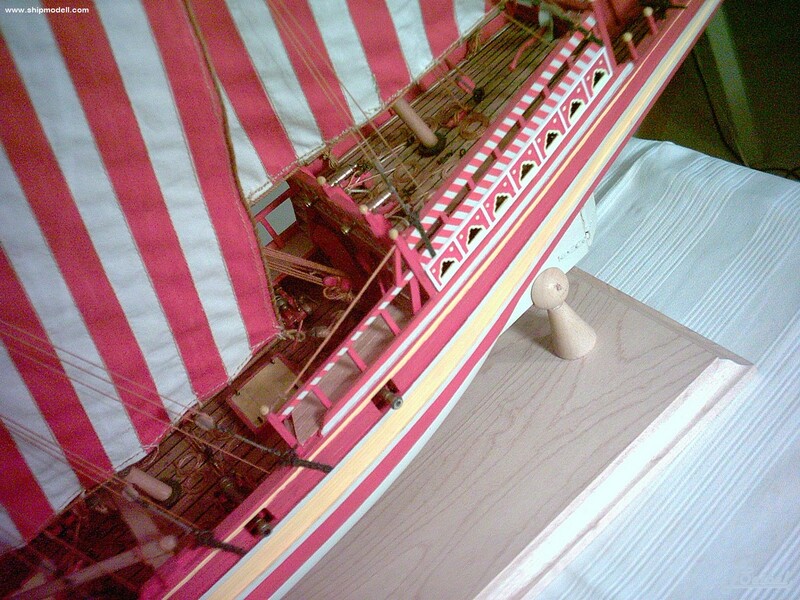 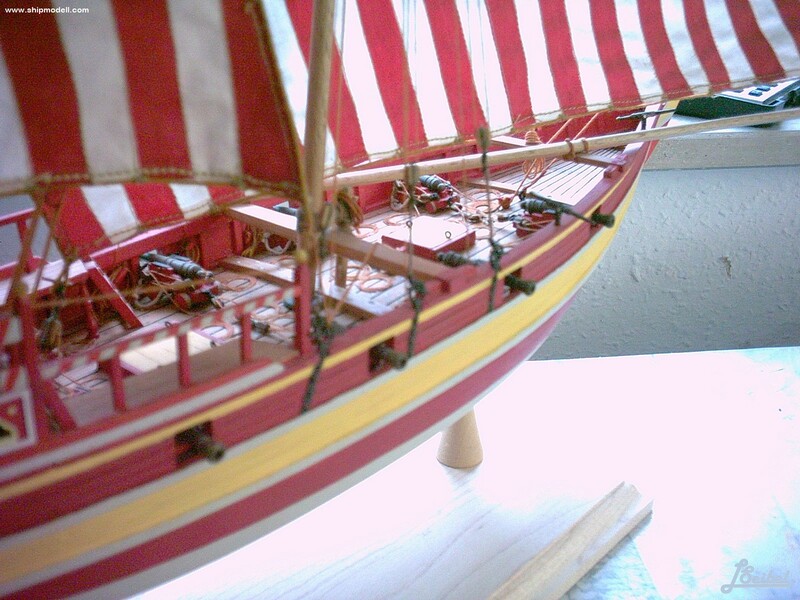 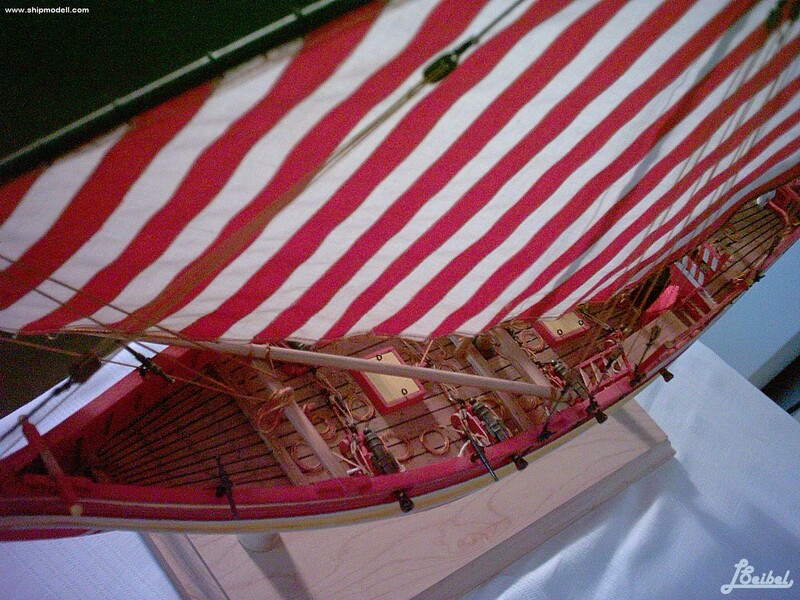 Unfortunately, there is almost no pictorial evidence of early dhows. 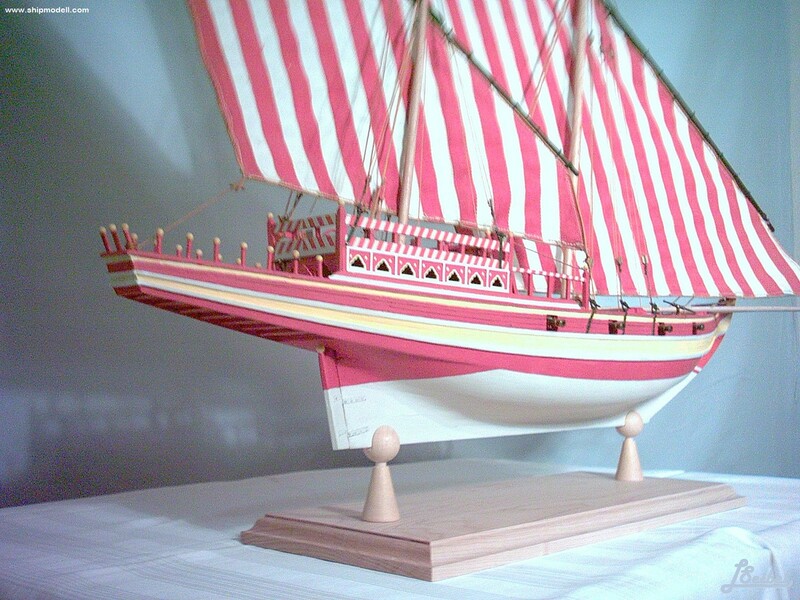 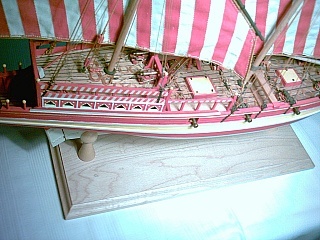 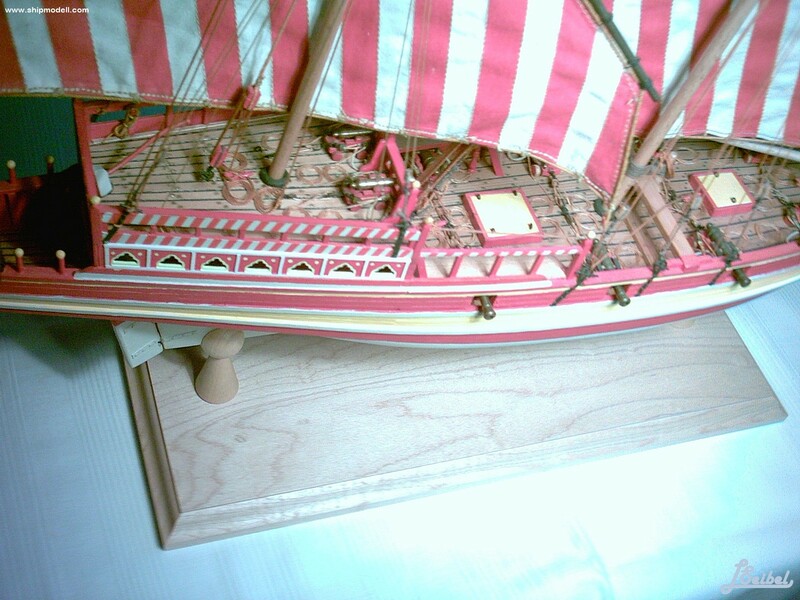 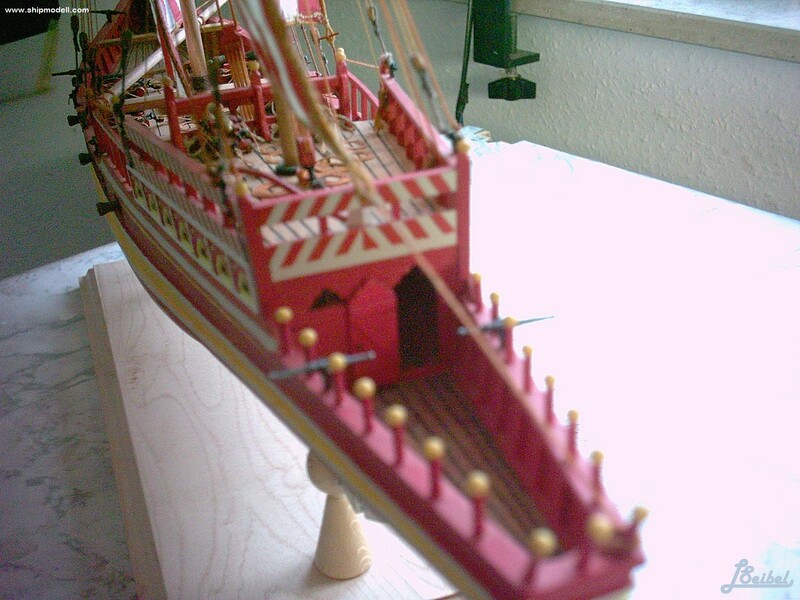 Most of our knowledge of the dhow's early construction comes to us from the records of Greek and early Roman historians. 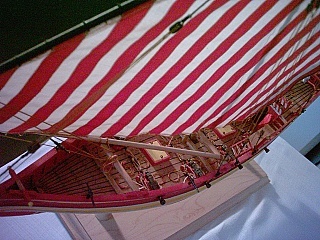 Added to this, we can compare some similar hull constructions used in the later Roman period, after they had the opportunity to learn from Arab sailors. 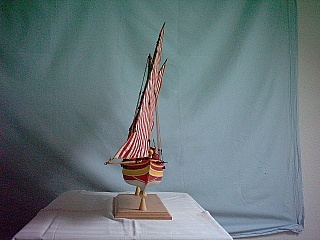 Dhow making is considered an art, and this art has been passed down from one generation to another, preserving, at least in part, the dhow's basic design and use. 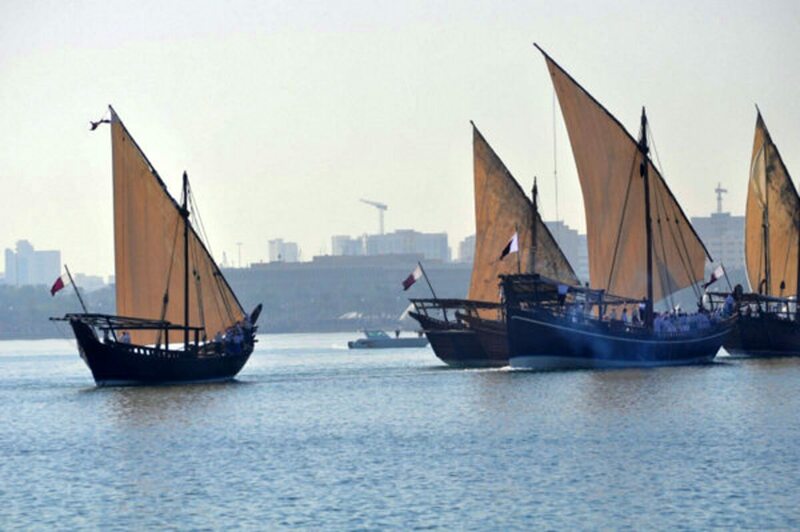 Even to the present day, dhows make commercial journeys between the Arabian Gulf and East Africa using sails as their only means of propulsion. 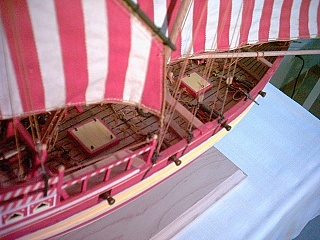 Their cargo is mostly dates and fish to East Africa and mangrove timber to the lands in the Gulf. They often sail south with the monsoon in winter or early spring, and return in late spring or early summer. 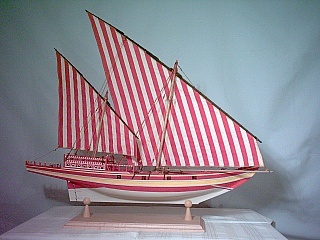 Despite their historical attachment to Arab traders, dhows are essentially an Indian boat, as much of the wood for their construction came from the forests of India. 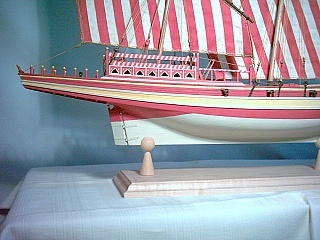 In Europe, boat names are based on the type of sail rigging the boat has. 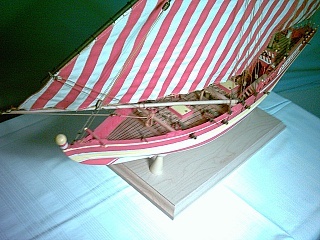 Thus, it is typical for Europeans to label all Arab boats as dhows. 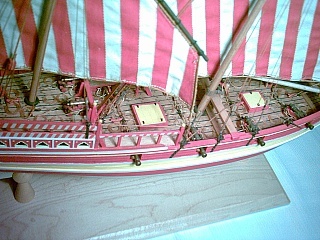 In the Middle East however, boats are classified according to the shape of their hull. 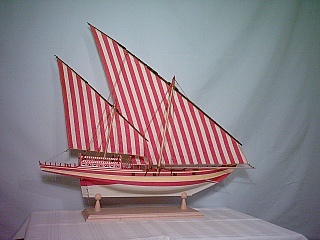 Therefore, dhows with square sterns have the classifications gaghalah, ganja, sanbuuq, and jihaazi. 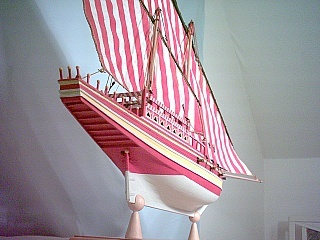 The square stern is basically a product of European influence, since Portuguese and other boats visited the Gulf from the 16th century. 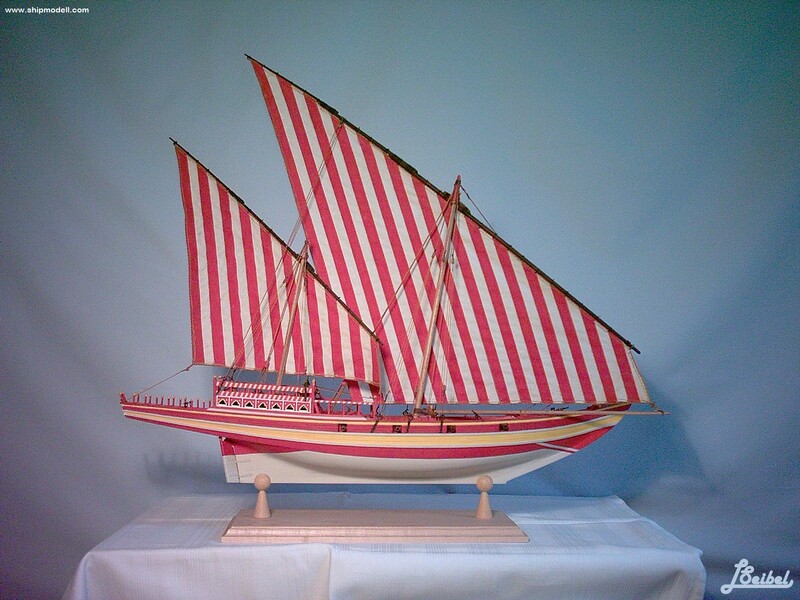 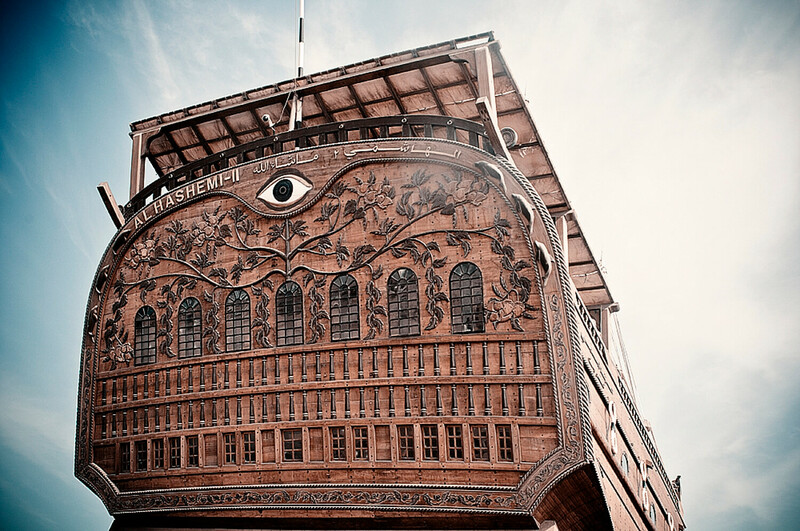 The generic terms for ship in Arabic is markab and safiinah. 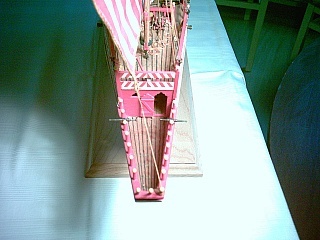 Fulk is used in the Qur'an. 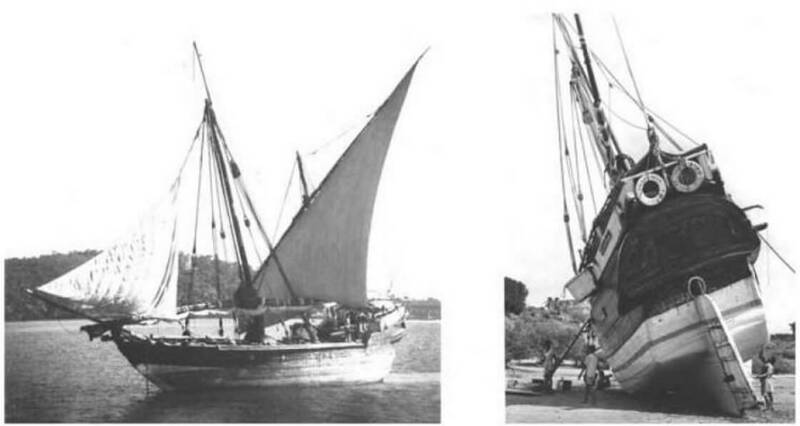 The word daw is Swahili, and was not used by the Arabs, although it was popularised by English writers in the incorrect form of dhow. 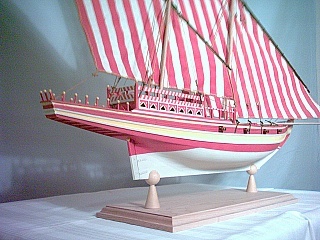 The dhow was known for two distinctive features. 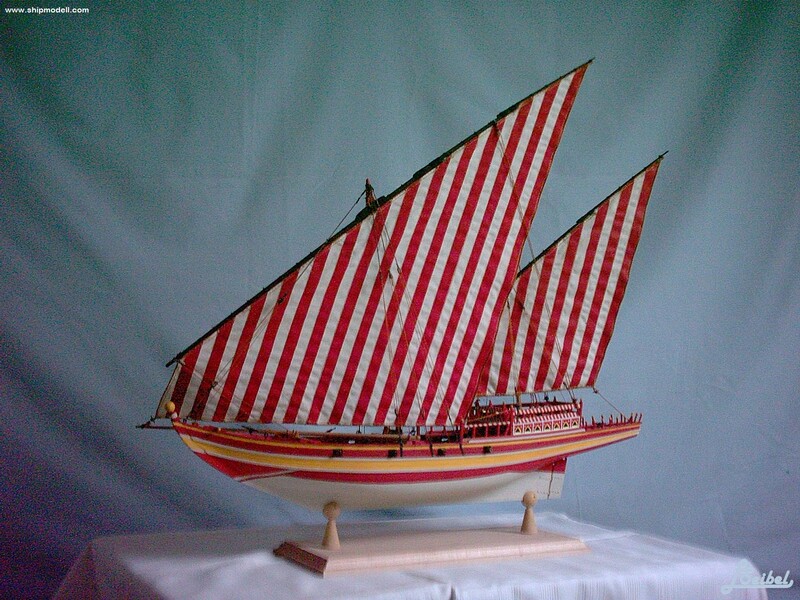 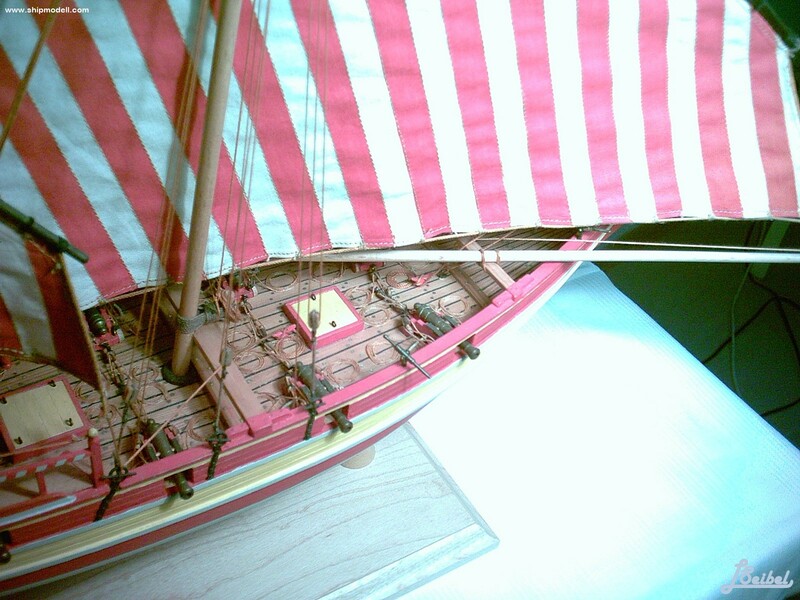 First of all, its triangular or lateen sail, and secondly, for its stitched construction. 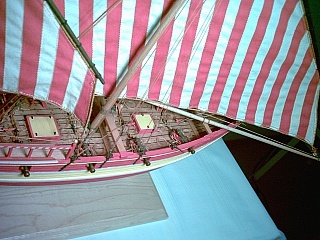 Stitched boats were made by sewing the hull boards together with fibres, cords or thongs. A ghanja építése teljesen kezdőknek nem ajánlatos, de a már kis gyakorlattal rendelkezőknek egy viszonylag könnyen építhető, nem drága és szép, egzotikus modell. 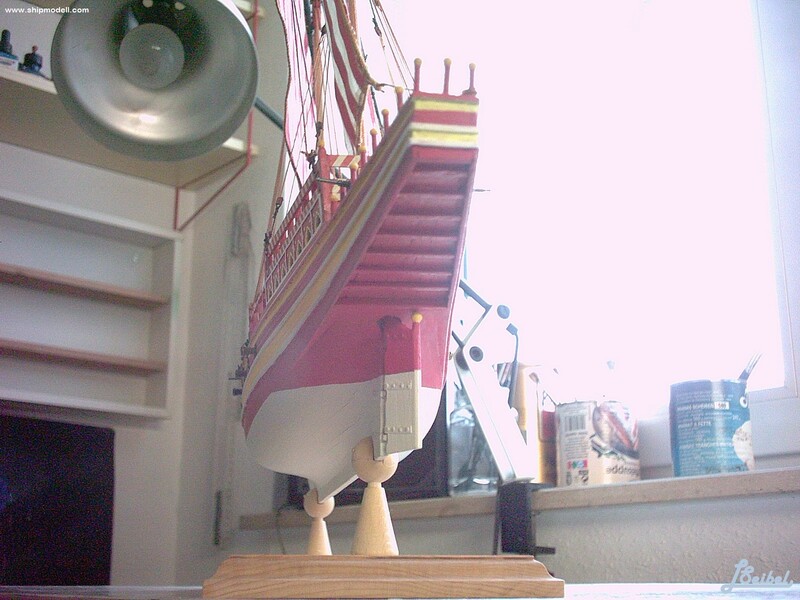 Az anyagköltség minimális, sok rész a barkácsládában összegyűjtött maradékból elkészíthető. 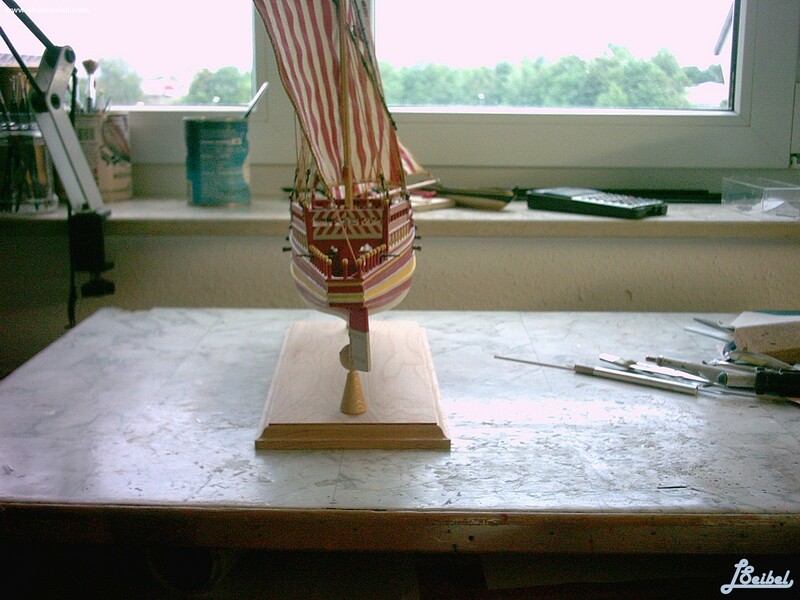 A gerinclap meg a bordák réteges lemez, a palánkok olcsó fenyő vagy hárs lécek, bár jávorból szebb a festés alatt is. A két árboc készülhet pl. 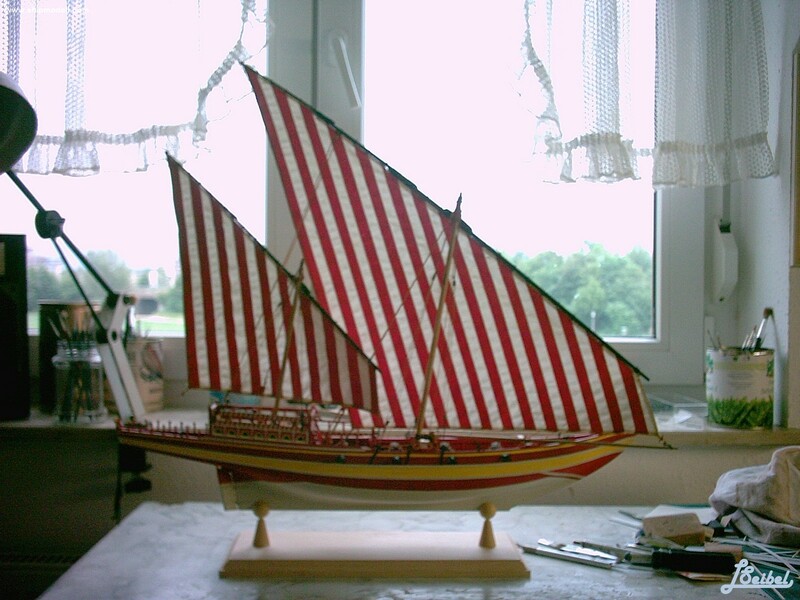 fakanálnyélből, a vékonyabb rudak fogpiszkálóból és fanyársból. (2-3-4 mm)A kis golyók (3 mm) díszgombostűről, az orrtőkén a nagy golyó (10-12 mm) egy fagolyó egy barkácsboltból.A vitorlák egy batiszt asztalterítőből vannak, teával színezve, majd a piros csíkok akrylfestékkel festve.A kötélzet színezett horgolócérna.A kevés blokk elkészítése nem okoz sok gondot, de ebben a mennyiségben venni se drága.Egyedül az ágyúk kerülnek valamibe, ha nincs esztergád, de ennél a kevés darabszámnál nem hal bele az ember.A színezést teljesen W. Mondfeld könyve után festettem, ahol azonban megemlítik, hogy más színek is elképzelhetők, ( bár zöld soha, kék is ritkán ) de a csíkok sémáját lehetőség szerint be kell tartani. A baghlah with a modern square stern. 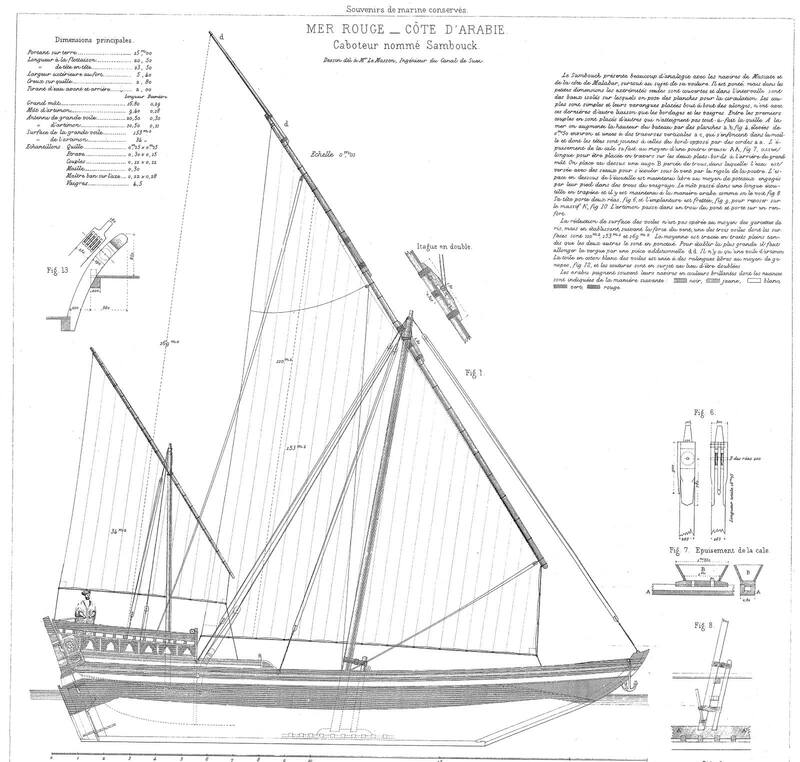 Illustration taken from Paris' Souvenirs de Marine, 1882.